This past Sunday, RogerEbert.com editor-in-chief Matt Zoller Seitz published a lively, entertaining blog post about a slumber party he hosted to celebrate his son’s 11th birthday. Called upon to provide a movie for eight fifth-graders who had “seen every comic book movie multiple times,” plus everything related to Indiana Jones, Star Wars, and Lord Of The Rings, Seitz showed them Aliens. His piece tracks, with humor, tolerance, avid interest, and some adult exasperation, how they responded to it, and compares it to his own first time watching Aliens, in a theater with a high-school buddy. It’s a great low-key story about the way a father and a son connect through a cultural experience, how a group of media-savvy kids reacted to a new experience that may have slightly tested their current limits, and how an adult feels about how kids collectively process entertainment today. It’s no huge surprise that the watch-Aliens-early crowd outnumbers the parental-protection crowd, especially on a cinephilic site like RogerEbert.com, or a young-skewing site like Reddit. It’s also no surprise that vehemence, hyperbole, and name-calling quickly overrode common sense. It was a perfect storm of parenting scolds who know what’s right for everyone else’s kids, and pop-culture scolds, who know the only right way to consume entertainment is the way they did it themselves. What is surprising, though, is that in the Aliens war, people on both extremes of the debate are making exactly the same mistake. Both sides are overstating the possible trauma of a scary movie. Parents who’ve had to deal with their kids’ anxieties, nightmares—and often worse, night terrors, which seem even more irrational, traumatizing, and difficult to contend with—have every reason to want to keep those kids away from scary stuff. That said, kids adjust fast and develop fast, and today’s big traumas are tomorrow’s vague memories. It’s also virtually impossible to entirely protect kids from cultural-related scares. Back at The A.V. 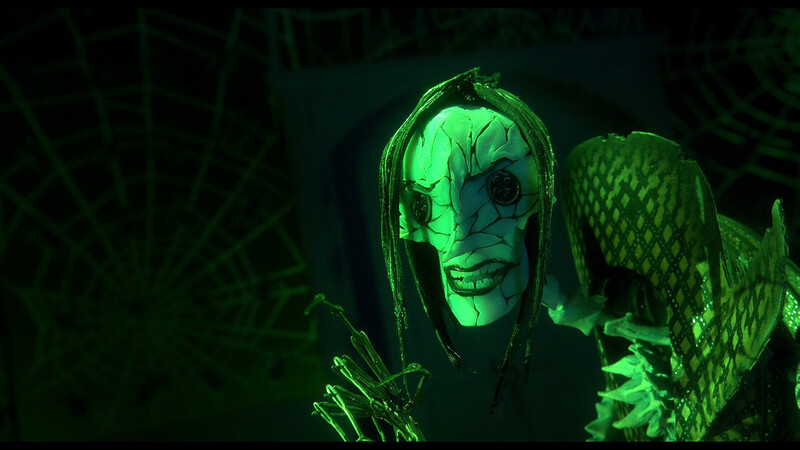 Club, when I ran the weekly reader-and-staff survey AVQ&A, one of my favorite columns came when a reader copped to being terrified by something that happened in Ernest Scared Stupid, and asked other readers for their childhood cultural-trauma experiences. The comments were illuminating: Kids of a certain age get frightened when they first encounter discordant sounds, or angry-looking Muppets like Oscar or Sweetums or the yip-yip aliens, or anything that breaks their basic understanding of how people look and act. (“The Spider-Man from Electric Company was really scary. No mouth hole, didn’t talk. I was scared yet mesmerized.”) Twelve hundred comments later, it became pretty clear that childhood fears are very personal and specific—and unavoidable. Kids protected from Aliens may just as well find Disney movies unnerving, if those are the scariest films they’ve ever seen. 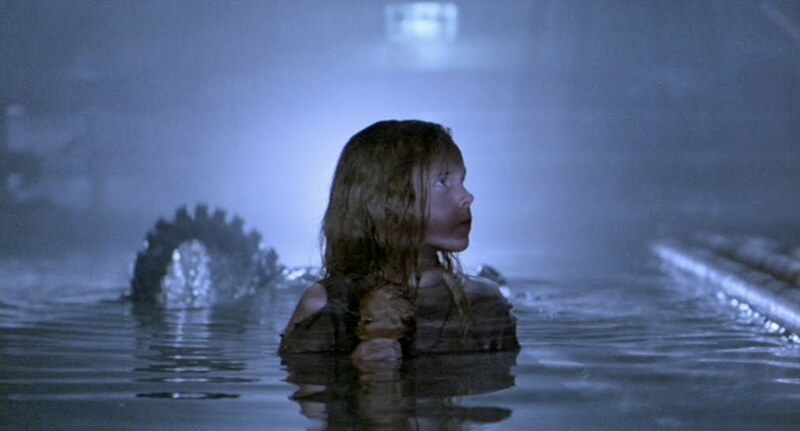 That said, turning the entire debate into, “I’m 30, and I was scared by something at age 5, but I came out fine” is entirely discounting what it feels like to be scared as a kid, or what it’s like as a parent to be helpless in the face of a child’s irrational terror. 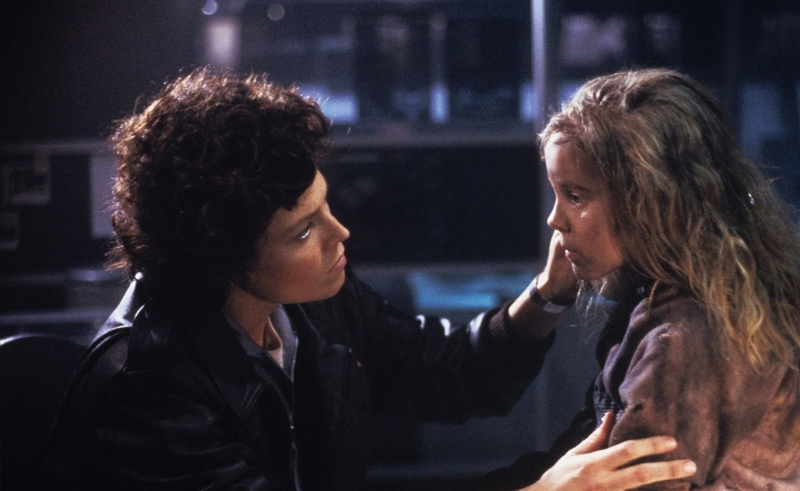 The question isn’t whether watching Aliens as an 11-year-old is going to irreparably destroy someone’s life, forcing them to be institutionalized and tranquilized until their untimely Aliens-induced suicide. Like so many other questions about child-rearing, it’s about what’s right for individuals in the moment, and who gets to make those choices. Pretending that the naysayers are implying that watching a film too young is a devastating, life-ruining act is setting up a particularly ridiculous straw man to tilt at. It’s overstating the argument to make it ridiculous. It’s also missing a point: Plenty of those kids who were protected from R-rated movies until they were 18, or denied access to horror films until they could sneak into them on their own, also turned out to be productive members of society who weren’t ruined by restrictive environments. The connection between youthful cultural access and future career success is tenuous enough that it makes a pretty weak rhetorical weapon, which hasn’t stopped people from wielding it like the dinnertime baseball bat in The Untouchables. Both sides are refusing to acknowledge that the other side has some points to make. It’s the Internet, and this should be expected, but it’s still wearying to watch it play out over and over. Some small portion of the anti-Aliens-at-11 crowd is arguing that they want to be the ones to decide whether their prepubescent kids get to watch R-rated movies, or violent movies, or horror-tinged movies full of profanity they don’t want their children to acquire. That may not be practical in this era of easy media access, but it’s still a perfectly reasonable idealistic stance. An equally reasonable minority of the pro-Aliens-at-11 crowd are arguing that a parent who drops a child off with an adult for an overnight stay is admitting trust and rescinding some decisions to the adult in charge, and can only complain so much if that adult makes decisions the parent might not have made if present. It’s true that anyone who left their son with Seitz, later found out about the Aliens-viewing, and objects to it, has the right to take it up with him. But that’s something for the two parents to work out between themselves based on the situation and the kid’s reaction, not for the Internet to issue blanket statements over in the absence of any facts about the matter whatsoever. Both sides can be correct in claiming some basic rights, over control of their kids or over the limits of parental control, without necessarily giving an inch over Aliens itself. Both sides are ignoring the actual facts in order to turn this into a fight over rhetoric and idealism. In turning this into a large-scale fight about parental control, age appropriateness, exposure to violence, and the long-term earnings potential of early Aliens-watchers, the debaters are, predictably enough, skipping over what actually happened at the slumber party. Seitz made a number of eminently responsible choices. He picked a movie he’d already seen multiple times, so he knew what to expect. He talked to the children about what films they’d already seen—in this case, virtually all of them had already seen Alien or an Aliens franchise movie. (Frankly, any kid who’s seen the suspenseful, graphically bloody, mildly risqué Alien should be automatically vetted for the much more action-oriented Aliens.) He stayed with them while they watched the film, and guided them through it. He monitored their reactions individually to see how they were responding, and was clearly aware of the behavior of the meekest one of the crew. Here’s the MPAA’s explanation of what constitutes an R-rated movie: “Under 17 requires accompanying parent or adult guardian. Contains some adult material. Parents are urged to learn more about the film before taking their young children with them.” Seitz followed every aspect of that description fully and responsibly: He accompanied the kids in watching a film he knew well, and he helped contextualize it for them. He also showed it to them in a communal environment and let them defang it on their own terms, by talking through their reactions and normalizing the experience in a way designed to make it less scary. He pointed out scenes he thought they’d enjoy, but otherwise let them define the terms of their experience, even when it bugged him. And he notes that the actual kids he showed it to (rather than the rhetorical traumatized ones the debate has centered on) greeted it enthusiastically and responsively. But all of this has been lost in the rush to fight about what children, in the abstract, should be allowed to do. The conversation has rapidly devolved into people trying to shut each other up and score rhetorical points about when kids are overparented vs. when strangers have a right to dictate child-rearing decisions. But most damning, both sides are trying to universally apply their own tastes and experiences. And that’s a mistake, because there is no one universal age at which Aliens suddenly becomes appropriate. Kids have different tolerances. Kids have different personalities. Kids have different tastes. I review a lot of animated movies, and I periodically get asked, “Is that thing you just watched safe for my child?” I always answer by trying to describe the movie’s parameters in terms of suspense, weirdness, or gore, because there is no possible yes-or-no answer to that question if I don’t know the child involved. Even here in the Pitchfork office, the question gets bandied around, and it’s hard to answer. One employee here has a 5-year-old whose favorite films are Coraline and ParaNorman—excellent features with some exceptionally spooky material that unnerves some adults. Another has a kid who was terrified at 2011’s Winnie The Pooh, because at one point, Tigger appears as a shadow in the woods—a memory that stuck with her for ages. Some kids enjoy being scared. (Look at the bestselling success of things like the Goosebumps series.) Some don’t, and for them, simple scares can metastasize into big anxieties. Anyone saying “11-year-olds shouldn’t be allowed to ____________,” or “When I was 11, I ____________ and I turned out okay” is trying to erase any difference between people, and turn one person’s experience, usually their own, into everyone’s experience. It’s responsible and respectable for people to be protective about their own kids, based on their beliefs, and their superior knowledge of what kind of entertainment, boundary-testing, and experiences their kids are ready to handle. That trumps a random stranger’s belief about what those kids need to toughen them up. Nonetheless, the conversation has continued: Over at Criticwire, a poll asking critics about their first age-inappropriate movie has a lot of the industry tracing their love of cinema to their first R-rated feature. (Results not typical—otherwise, Seitz just created eight new pro film critics.) On Twitter, hundreds of people have been telling Seitz about their movie traumas (“I cried for three days after seeing Titanic at age 9 because ‘all the people died’”) or lack thereof. (“I saw the 1st 2 Alien, Predator & Terminator films before I was 10. All it led to was more inventive use of action figures.”) It’s been a worthwhile conversation to have, in that it lays out the wide variation of human experience, and proves the point that different people are ready for different experiences at different ages, and issuing one blanket statement about what’s “appropriate” is narrowly proscriptive, invasive personal policing, rather than helpful or even meaningful. But one more thing that unites these reactions is that all of them are coming from the perspective of adults looking back on boundary-pushing experiences through the vision-dimming lenses of nostalgia or regret. Kids often meet their first cultural steps into adulthood with delight, because they know they’re experiencing something previously denied to them when they get to stay up late, or watch something spooky enough to scare them, or with enough cursing or skin to seem forbidden and “adult.” Of course people would look back fondly on those first creepy experiences, often even if they were overwhelming at the time. Thirty years from now, when Seitz writes about showing Aliens to his grandkids, and the debates start all over again, even the kid at the slumber party who was watching from under a blanket will probably chime in about how creepy that night was, and how much fun he had—whether he’s thinking about it that way now or not. In the meantime, we probably don’t need to worry about whether he’s been ruined for life and will end up homeless in the streets. Xenomorphs are pretty eerie, but it really is just a movie after all.